Barbara Comstock, a Republican who represents parts of Northern Virginia, is currently Virginia’s only female representative in Congress. Of Virginia’s 11 Congressional representatives, only one is female. 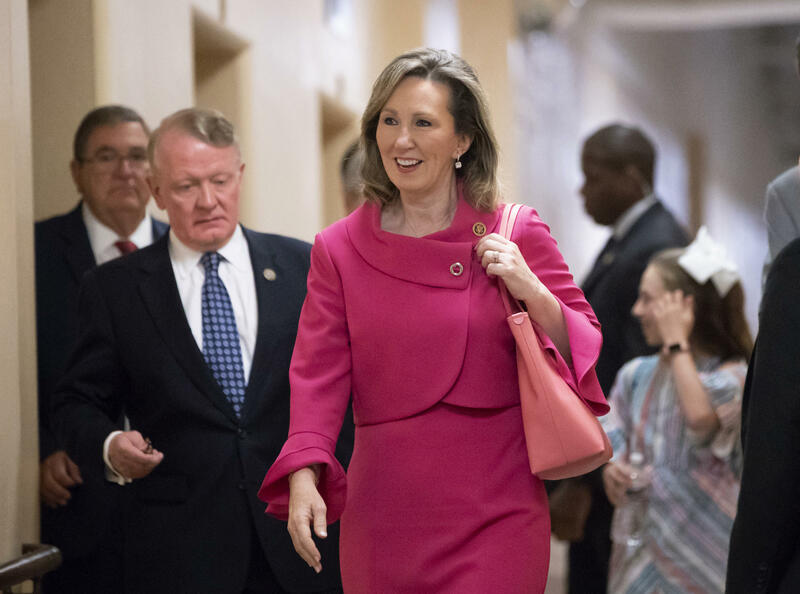 Republican Barbara Comstock represents parts of Northern Virginia. But this Election Day, that could change. After a wave of women were elected to the statehouse last year, there’s been a push this year to do the same in Congress. With just a handful of days until the midterm election, Melissa McKenney has been hustling. During her lunch break, Mckenney heads over to the headquarters for Abigail Spanberger’s campaign to make calls. Spanberger is Democrat running against Dave Brat in Virginia’s 7th Congressional District. McKenney supports Spanberger because she thinks she’s smart and caring. But she also likes that she can bring a woman’s perspective to Washington. And that’s important, she says. That's when it really struck me how important it is for young women, and young boys too, to know that women have a full place in society. “To really be able to advocate for the people they serve, an elected body really needs to look more like the people,” says McKenney. Fellow volunteer Barbara Astoria agrees. She says the tone of politics is toxic, and that women could help change that. “They tend to be more willing to listen and more willing to compromise,” she says. There are seven women running for Congress in Virginia this year. 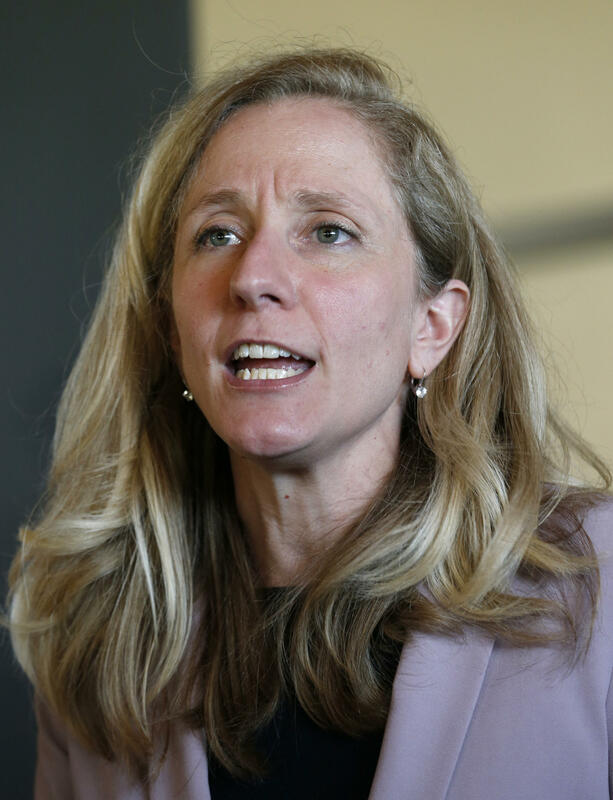 Democrat Abigail Spanberger is running in Virginia’s 7th Congressional District. In addition to Spanberger in the 7th, there’s Elaine Luria and Vangie Williams. They’re both running in eastern Virginia - in the 2nd and 1st districts. Leslie Cockburn is on the ballot in central Virginia’s 5th District. And Jennifer Lewis is running in the western part of the state, in the 6th. Then there’s Northern Virginia, where an all female ticket in the 10th includes Democrat Jennifer Wexton and Republican Barbara Comstock. In all, a third of Virginia’s Congressional candidates this year are women. Kelly Dittmar, with the Center for American Women in Politics, says that’s on par with what’s happening across the country. Dittmar adds that things look a bit different if you break it out by party. While there are 10 Republicans running for Congress, only one is female. More than half of the Democrats are. That hasn’t always been the case in Virginia. Of the four women that have represented the state in Congress, most have been members of the GOP. 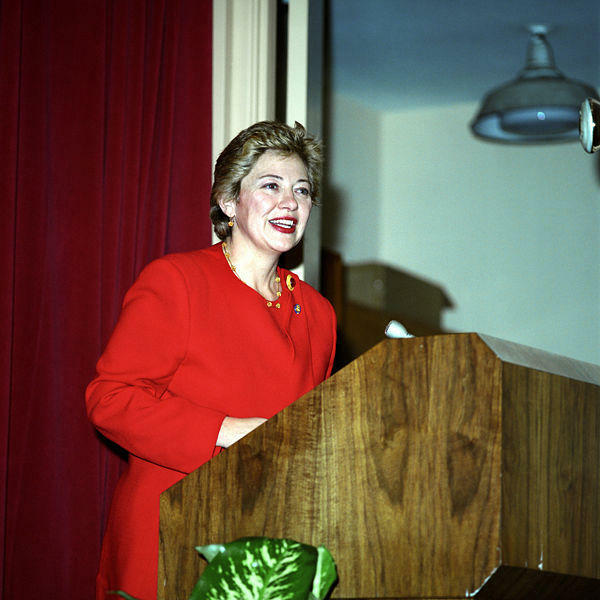 Leslie Byrne, Virginia’s first Congress woman, gives an address at the Pentagon during Women’s History Month in 1993. But the first, Leslie Byrne, was a Democrat. She says that during her campaign no one made a fuss over the fact that she was a woman running for Congress. “It wasn’t until maybe a month out before the election that I realized, that it was brought to my attention, that no woman had served in Congress from Virginia,” Byrne recalls. The year was 1992 and Byrne was stunned. She didn’t believe it until a staffer dug around to make sure it was true. She says the significance of that fact hit her once she was serving on Capitol Hill. A group of girl scouts came for a visit. “And I said ‘Do you have any questions?’ and this little girl raised her hand and she said ‘Can boys be in Congress too?’ and that’s when it really struck me how important it is for young women, and young boys too, to know that women have a full place in society,” she says. That was 25 years ago. Byrne says maybe today that girl scout is a woman, considering her own run for office.